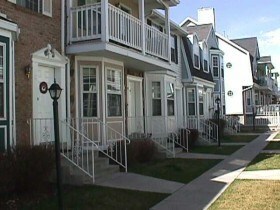 Chatham Towne Townhomes – Provo Utah are located at 956-992 N 900 E Provo, UT 84604. Chatham Towne Townhomes are BYU approved for both Male and Female. Chatham Towne condos were built in 1986 and have 44 unit. Many of the the Chatham Towne Condos are about 1120 square feet and have 2 bedrooms and 3 bathrooms. These townhomes are located across the street from BYU law school and many of the units are BYU approved for both men and women. Please verify the current status with BYU. Chatham Towne condos are considered on of the best and closet complexes to BYU. If you are looking to buy a condo at BYU you may one to consider buying a Chatam Towne Condo. 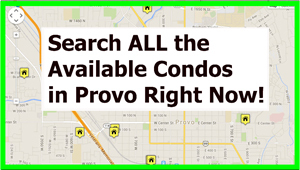 Investors tend to purchase condos and townhomes in Provo within walking distance to BYU. I have sold the Chatam Towne Condos – Provo Utah to investors that live outside of Utah. These townhomes have a very nice setting and students enjoy being within walking distance to campus. The condos at Chatham Towne in 90′s for between a low of $126k to a high of $165k. From 2000 to 2003 the sold prices moved from $165k to $184. Then from 2005 to 2007 the prices at Chatham Towne Condos went up to $240k. The last known sale at Chatham Towne was in July of 2012. This townhome sold for $233,000. The seller was asking $250,200. It is interesting to see the prices climb on these townhomes. A buyer could buy a similar townhome in a different location in Provo for about $100k less. As they say in Real Estate … location, location, location.